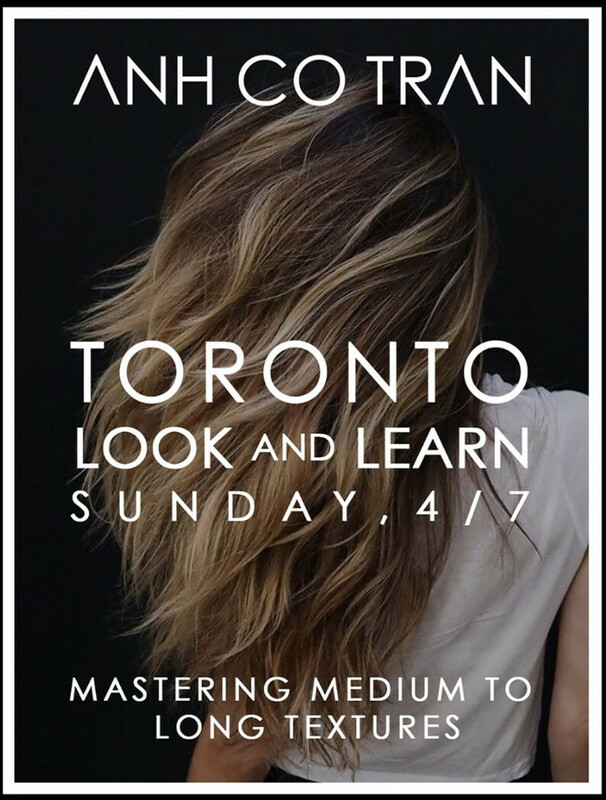 Anh travels to Toronto, Canada on April 7th, 2019 to teach a ‘Look and Learn’ style class that offers students a deeper dive to Anh’s signature cuts. The course covers medium length cuts — a staple style to know — with the addition of his undercut techniques to add dimension and change the weight of the style depending on each model’s individual hair texture along with his more stylized and fashion forward variations on lob’s, blunt bob’s and pixie cuts. Big thanks to LAC + CO in Toronto for graciously hosting this exclusive event!